Last week my second ever Lootcrate arrived with the excellent theme - HEROES. 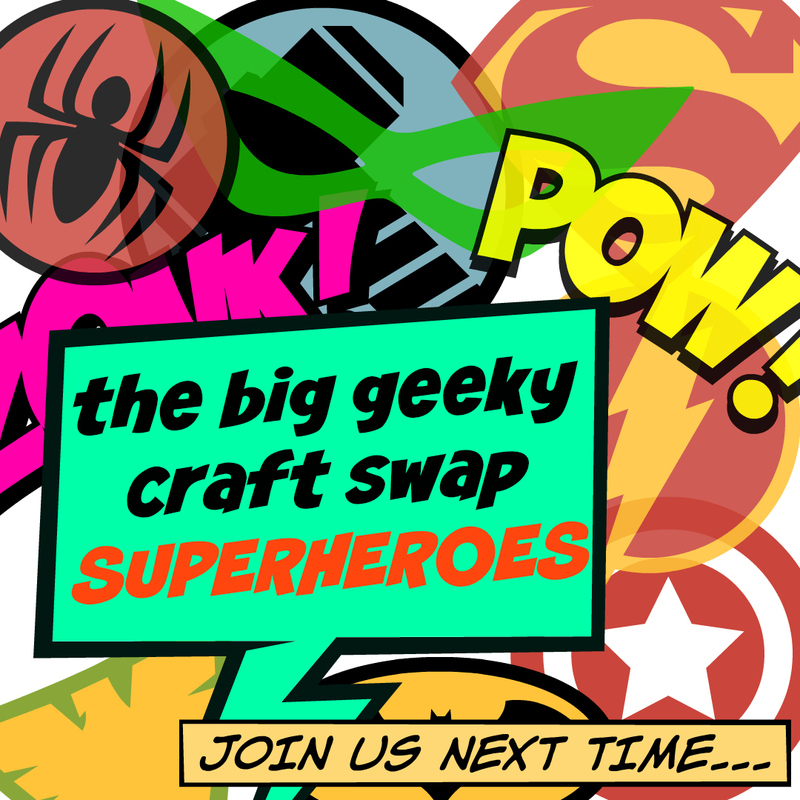 I subscribed to this excellent monthly geek box last month once I heard that VILLAINS would be the theme, and after having seen the crate on several of my favourite blogs. This month promised an exclusive POP figure as well as the usual other geeky goodies, and I was impressed again with the contents of the crate! This month goodies included a Teenage Mutant Ninja Turtles figure (I received Michelangelo - B's favourite! Definitely a mantelpiece decoration when we live together), Teenage Mutant Ninja Turtles style sunglasses (very fetch), a Sonic the Hedgehog car air freshener (what better excuse do I need to learn to drive now?! ), some swish looking lightning bolts for your shoe laces, a little badge, a little magnet, and the interior of the box decorated in the style of the TMNT hideout. 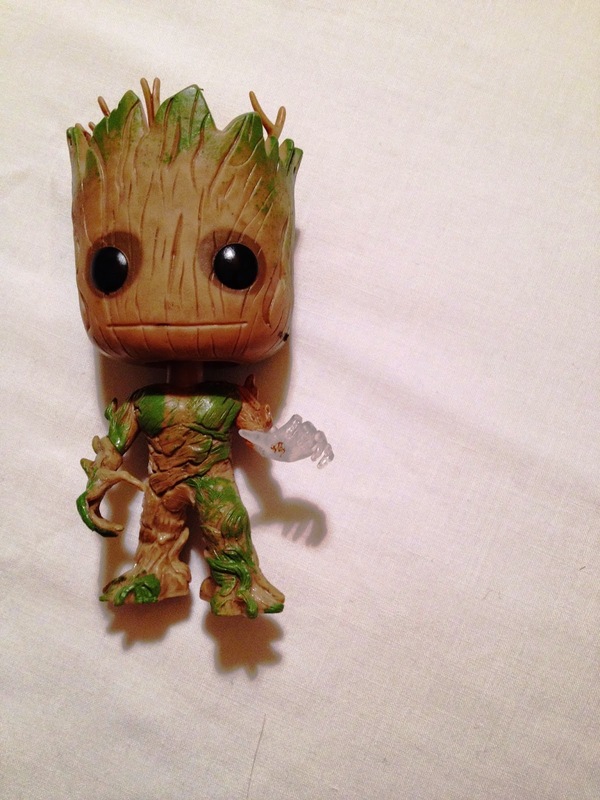 But the piece-de-resistance has to be the exclusive glow in the dark Groot POP figure. He is a bobble head with the most adorable face I have ever seen in my life! I received this box last Wednesday, and then saw the phenomenally good film that is Guardians of the Galaxy the Friday immediately after, and as a result can truly appreciate the beauty that is Groot - I AM GROOT. He sits with pride along with Michelangelo by my TV. Sorry this one is a touch late - what with bank holiday shenanigans (which mostly involved being ill on my part - lame) I thought it wouldn't hurt to keep you waiting slightly on this one. Abject apologies and begging humble forgiveness, let's get stuck in on what I've been finding on Pinterest this week, shall we? This week I have been mostly looking at Amigurumi and Kawaii crafts, and you can find more inspiration on my Pinterest board! 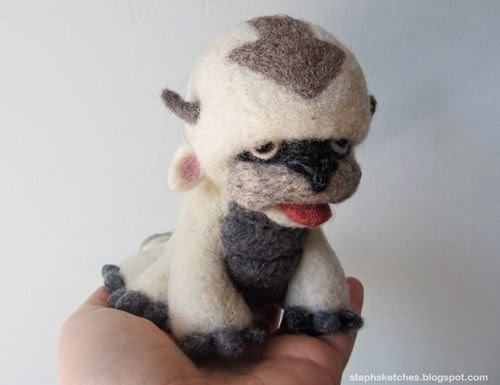 If I ever needed a more convincing image to make me want to learn needle felting, this is it! Appa from Avatar - The Last Airbender (which incidentally I just watched all day long in bed while feeling poorly). Would you just look at his tongue! I LOVE this show, as you can well see in one of my very early blog posts about a blanket I made inspired by the series, and I am always on the look out to make more things inspired by this *perfect* cartoon - recommendations welcome! 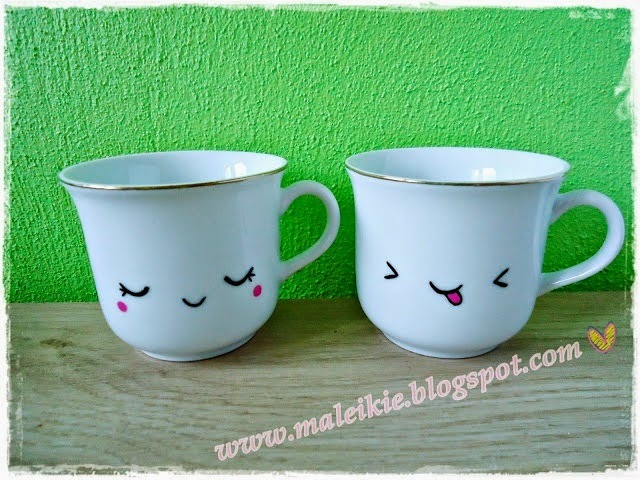 The picture of these cute little tea cups inspired me to order a porcelain marker from Amazon (I've tried baking Sharpies' on mugs before, didn't work for me - I'll let you know how the pen works out!) and has given me so many ideas for this month's Kawaii themed #DICraftSwap (hosted by lovely Hannah). The faces are so full of expression, don't they just make you smile? I even found a picture full of kawaii facial expressions that I am sure I will have a lot of fun with. 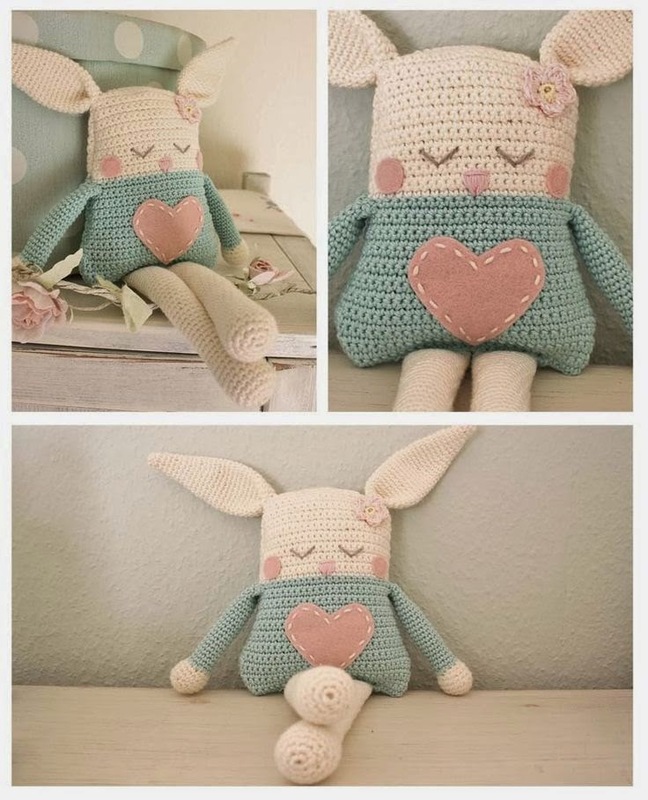 Another super cute crochet cushion - I really love the colours on this bunny and think it would any room, and the face is so lovely too. Again I can't spy any pattern, but this should be fairly straightforward to make myself! Do you like kawaii/amigurumi? Recommend any Etsy shops or great websites I can drool over? 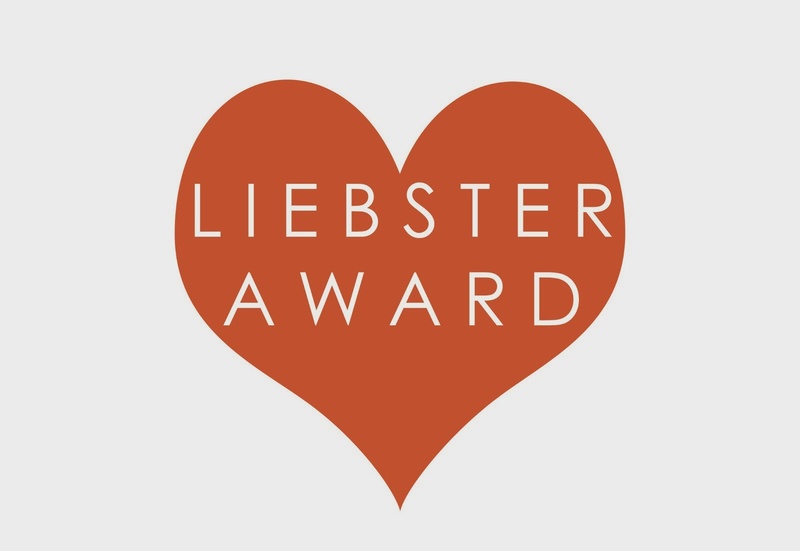 I am very flattered to say that I have been nominated for The Liebster Award by Sarah-Jane (Just a Crafty Mama)! I've been googling this 'award' and you may have guessed it is not a formal one. Instead the idea is that those who are nominated answer some questions about themselves/their blog, and ask some more of those they admire so that everyone can learn a little bit more about each other and really show the appreciation that many small blogs deserve. You have to answer all the questions you were given by that person- a note to my nominees, I will understand if you would rather not continue this cycle, but I wanted to show my appreciation of you all the same! 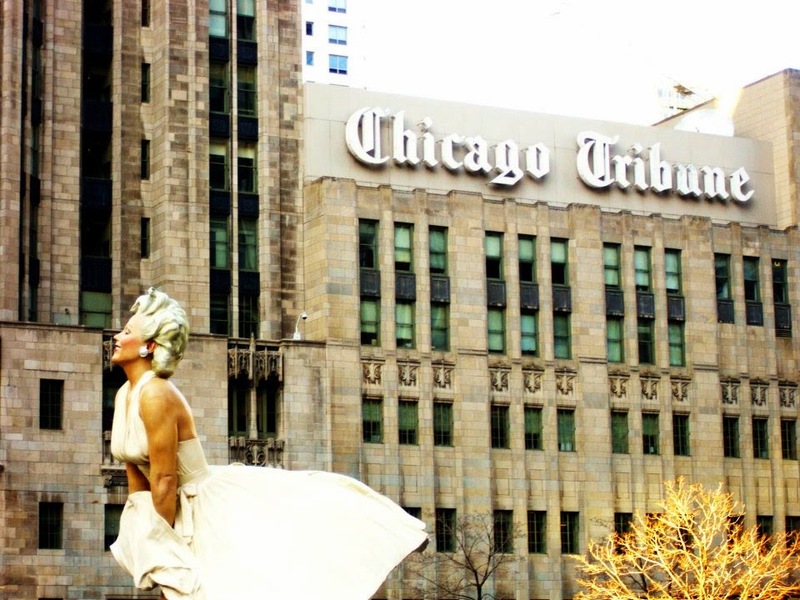 What got you started in the world of blogging? My friend Sophie at work has had a blog for a long time and would often talk to me about it, and I've personally always fancied writing a blog but never knew what to write about. Around March/April of this year I decided I really wanted to pursue selling my crafts properly and I started a blog to get my foot on the ladder. Since then I've started an Etsy shop, but found that my passion really lies in blogging about my creative process and the things I make/love! I still want to grow my shop and write more patterns, and it is taking a long time, but I love the journey and feel I am still at the very beginning really. What is your favourite thing to do at the weekend? I would be lying if I said anything other than knitting and watching films with my fiancé, or watching him play a game on the XBOX with a good story line, and I like to play the XBOX myself but more weekday evenings. And chocolate and popcorn and not worrying about being healthy because every weekend are ‘cheat days’! And going to the pub, love the pub. Do you enjoy reading, and if so who's your favourite author? I do enjoy reading – mostly fantasy, and I'm sure that there really is no one author that anyone can choose. My favourites are easily J.K. Rowling (Harry Potter rather than her adult novels), George R.R. Martin, Trudi Canavan, Lian Hearn, and Philippa Gregory. What's the most ambitious project you've ever completed? 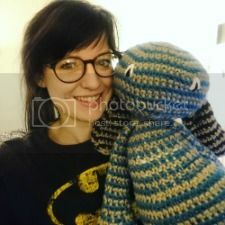 An ambitious project that I’ve completed…I’m stumped on this one, and fear that saying completing my undergraduate dissertation and also completing a (hellish) crocheted Charizard for B would be a cop out? But I’m young, I am sure there are many more really ambitious projects yet to come into my life! The world as we know it, or the world in a more abstract sense? Middle Earth with Hogwarts then actually. Because both are beautiful, magical, and so full of adventures and wondrous characters, and I want to live in both I couldn’t possible choose between the two. Where is your favourite place to shop? 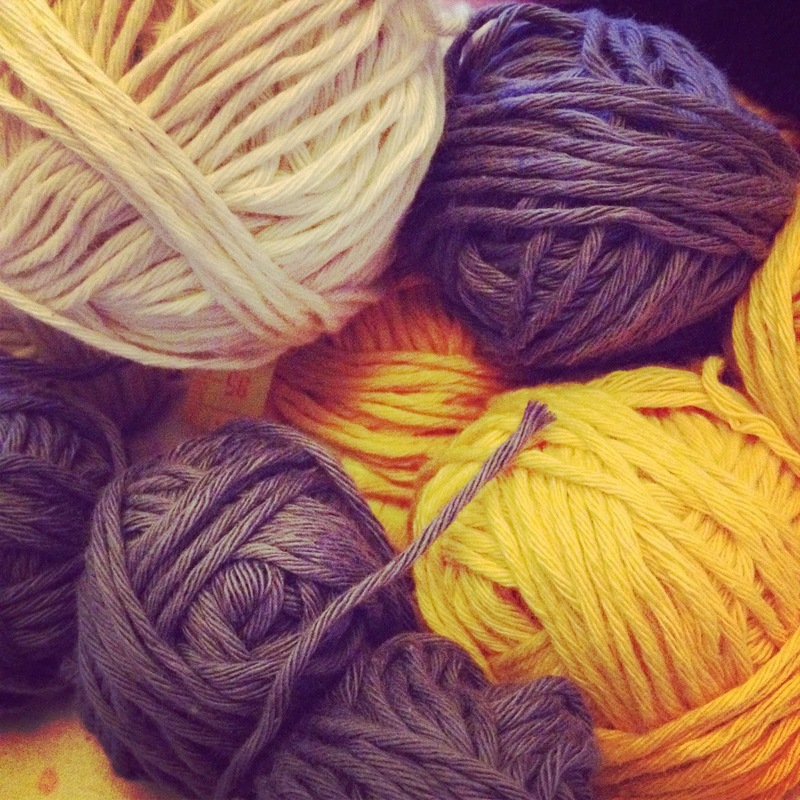 Online yarn shopping is actually my favourite as there are so many exciting materials to play with and I love yarn so much, and (bonus) there is always some sort of sale/discount code available! 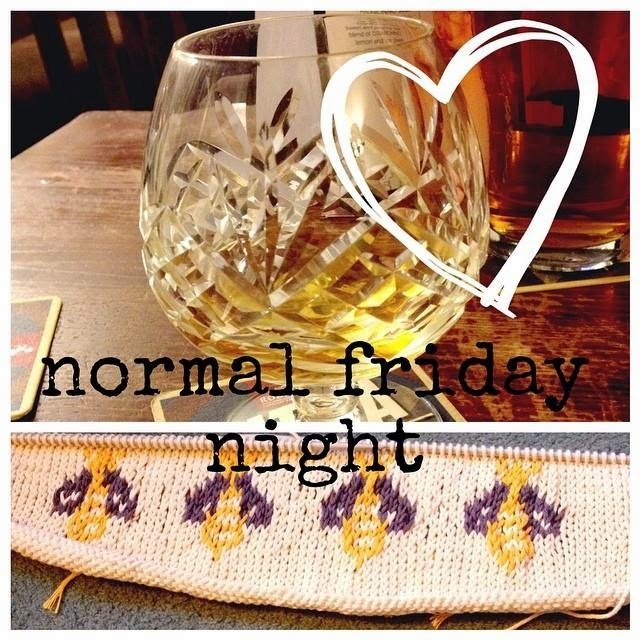 Have a look at my favourites - Deramores, Loveknitting, and Wool Warehouse. Can you describe yourself in 6 words? If you could meet anyone (past or present) who would you want to meet and why? I would love to meet Amy Poehlr. She is hilarious and just so witty and is also such a strong female role model. She can make people laugh without being self-degrading or feel the need to compensate for being a woman (as unfortunately many female comedians feel they need to do, but I don’t blame them - it is still a tough world for women). Everyone needs to watch the genius that is Parks & Recreation, Leslie Knope is perfect. When you're feeling down, what's the things that will pick you up again? First and foremost - my fiancé. After him though it has to be knitting and chocolate - I must sound like someone stuck at the wrong age/generation, but knitting soothes me and if I don't knit on any given day I can feel my stress levels rising. If you could be any character from a film or book, who would you be and why? Hermione Granger, because I've always wanted to be her ever since I first read Harry Potter at the age of 7 and would quietly pass over her name in my head because I didn't know how to say it. She is clever, strong, and can do magic. And then I get to be friends with Harry Potter. What would you say is your greatest achievement? As a 23 years old I'd like to think that my greatest achievement is still to come, I'm young, I feel young, and I'm looking forward to the life I have ahead of me, particularly when I get to share it properly with B. However at this point I think my greatest achievement was studying for a year in the USA. It was a difficult homesick year, without B and the friends I know, but it was an experience I would have regretted not having and I made some beautiful friends while there. Plus it taught me 100% I do not want to live in America - sorry guys, I just like it here more :) but I can't wait to visit again! Why did you start writing your blog? What have you learnt since you began your blog? Which is your favourite craft? What is your favourite season in the year and why? Will you share some of your favourite blogs with us (large or small!)? What is your favourite Disney movie (I assume you have one...right??) and why? What have you made or done in the past year that you have been most proud of? If you could pass on any advice to someone - a stranger, a loved one, anyone - what would it be? I hope you can have a little fun with this! And I hope you enjoyed reading what I had to offer. I had SO SO much fun working on this month's #DICraftSwap - as ever hosted by the wonderful Hannah - and I had a sudden splurge of ideas for Disney crafts (mostly due to a new Pinterest board - yummy) and couldn't help but make a couple of things this time round. Lauren was my designated receiver this month, and in her likes she mentioned she liked Mulan (I LOVE MULAN) so I jumped at the chance of making something with my one of my favourite Disney characters. In fact, I had to make two things once I had the (P)inspiration. If you remember in my cross-stitch themed idea-list a few weeks ago I found these gorgeous Disney character patterns, contacted the lady who designed and bought the pattern (along with some Star Wars and LOTR patterns too!). I also found these Disney 'keep calm' posters on Pintereste and thought brought together on cross stitch it would look neat - and I think it does :) what do you think? 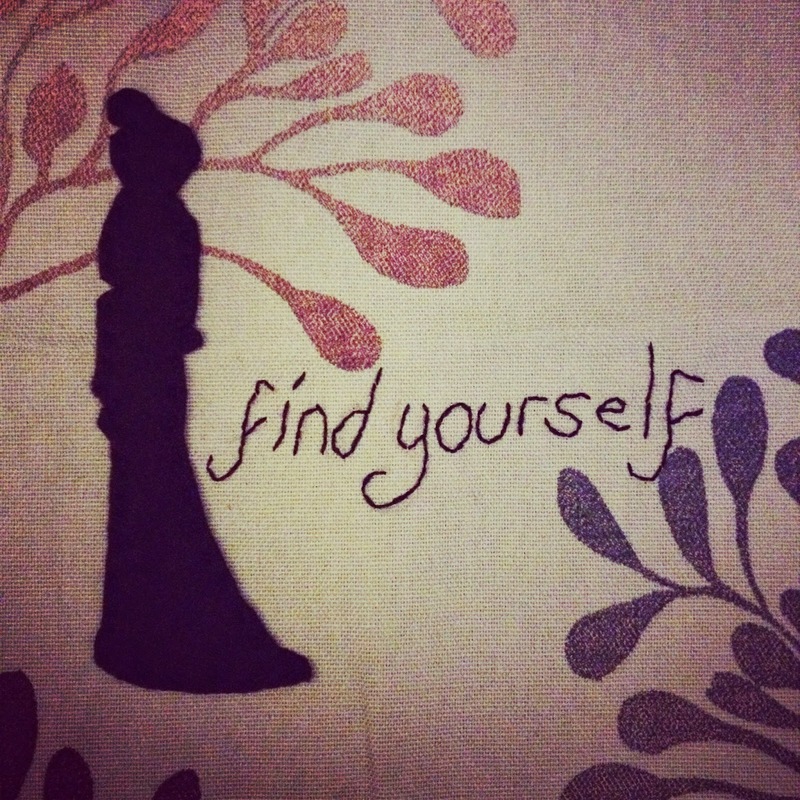 I also pinned this picture of Disney princess silhouettes and really wanted to work with them somehow. 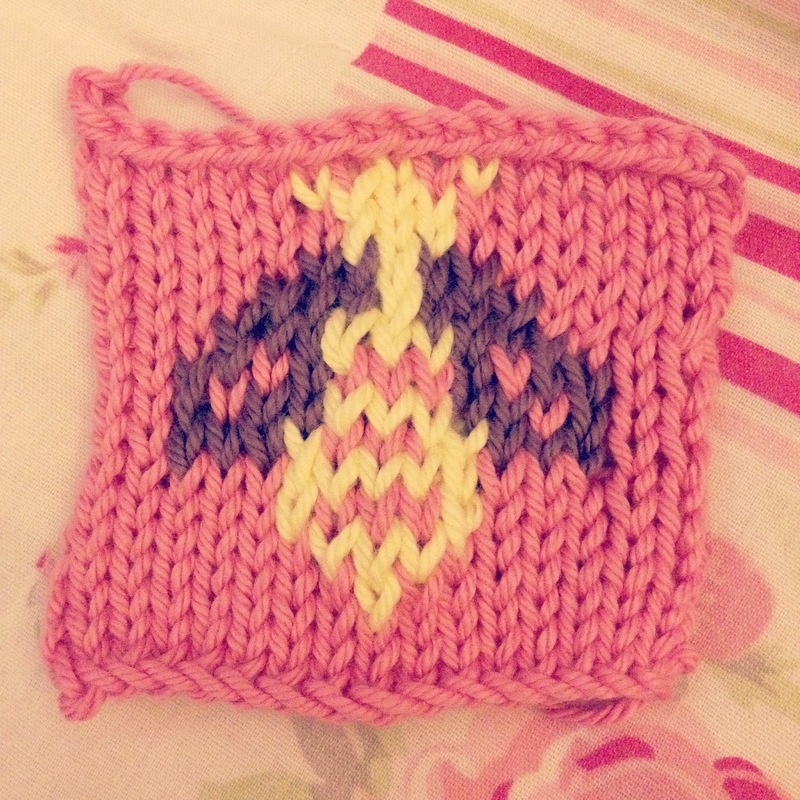 I did a lovely impromptu craft swap with Claire (Little Bo) (check out her gorgeous blog!) via Twitter and one of the things she sent me was the fabric I used to make the tote bag to use the silhouette (black felt) because I thought it suited Mulan rather well. And finally I just made up a quote that I thought summed up what the film represents. What do you think? 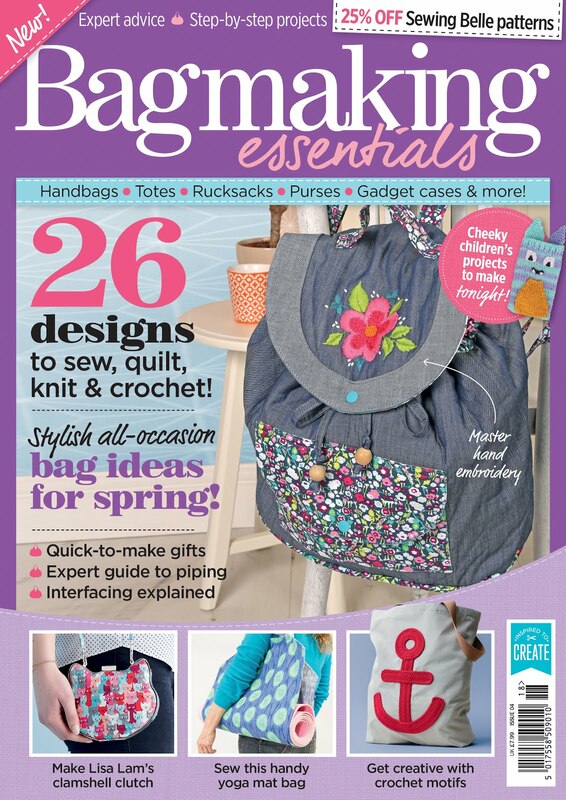 I'm considering sharing a tutorial on how to make this bag - would you be interested to see one? Lauren also said she liked Doctor Who, and Beauty & the Beast - mentioned quite separately but I happen to know of a GREAT Etsy shop - Karen Hallion's to be precise - that I knew I simply HAD to buy something from for her. If you like the note-card I opted for you can buy one from her Etsy shop. I also picked up some extra small Disney goodies because I always love getting odd-bits like this! I bought some Toy Story stencils intended for baking (and I bought some for myself hehe) and some Minnie Mouse lip gloss. You can read Lauren's blog post about her snail mail haul this week here - including the #DICraftSwap! NOW here is a #DICraftSwap first as far as I am aware - I received my Disney swap, but the post card didn't say who it was from, nor have I heard on social media who it is from - a mysterious swapper! How exciting :) - and I've looked through bloggers who usually take part and can't see it anywhere! If you are reading this do let me know it was you so I can link you and also give you the thanks you deserve because it was a very sweet swap and just the sort of thing I love! I LOVE hot drink/mug packages, and I LOVE MUGS ESPECIALLY DISNEY!! I can't wait to try out the hot chocolate and the salted caramel green tea (golly gosh!). And it all came with adorable little crocheted heart bunting, ready to be pinned up in my room. I am already thinking of presents and decorations I am going to make, and once I have a few WIPs wrapped up (badum-tch!) I hope to get a head start on making goodies so that this year I can give everyone I want to give a handmade gift rather than running out of time like I do every year! I've always wanted to make Christmas cards for my best friends and family, but whenever I sit down to make them I have no inspiration. 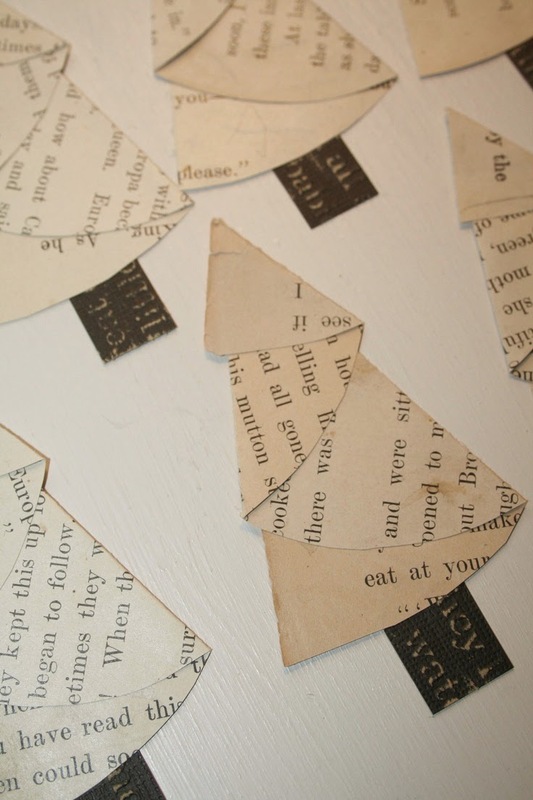 However the book page Christmas trees are beautiful and look so simple to make (there is no tutorial and the link is an expired Etsy one, however when I work it out I will be sure to share a tutorial with you!). 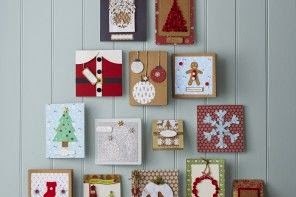 And these simple Christmas card designs from the Hobbycraft blog are perfect for an amateur paper crafter like me! 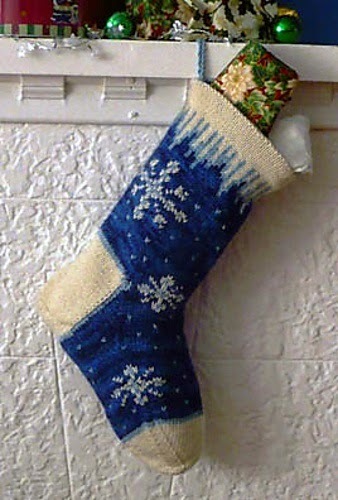 Another thing I have always wanted to make was a full size hand knitted stocking. Now that my knitting has improved (a lot over the last few months alone, it feels so good!) 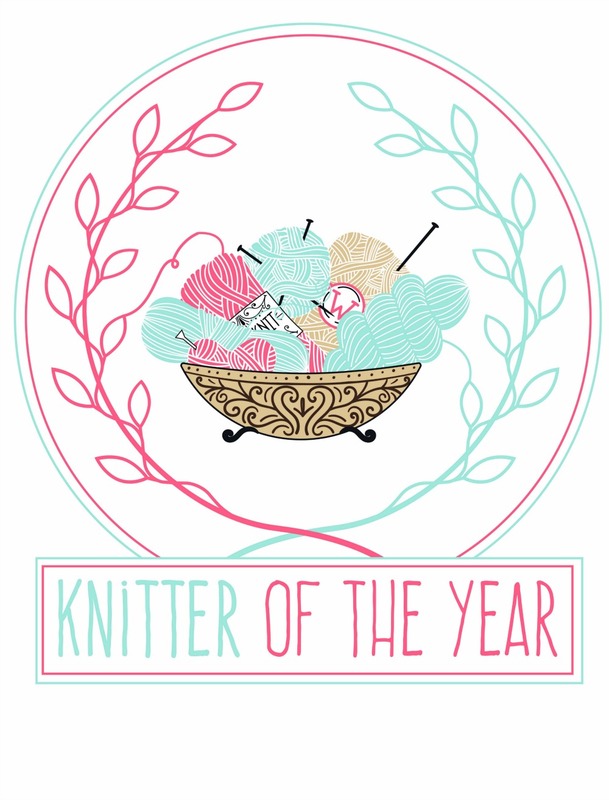 and I (tentatively) know how to knit in the round, I can't wait to tackle this project! The pattern for the top image can be found on Ravelry but I think I will have a go at personalising it too! LOOK at how adorable these Christmas tree ornaments are!! 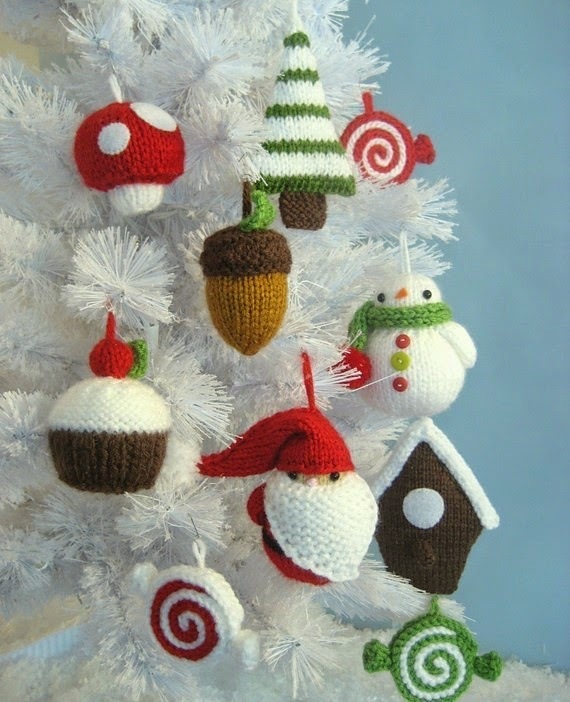 It's my goal to have a completely knitted/crocheted decorated tree and these gorgeous decorations will be a splendid place to begin. I don't even feel sorry for doing a Christmas post in August :) If you want to see some more Christmas inspiring craft ideas, or to just get into the mood nice and early (NEVER too early) why not follow my Christmas crafts Pinterest board? I anticipate another one of these Christmassy idea-lists in the not too distant future...you have been warned! 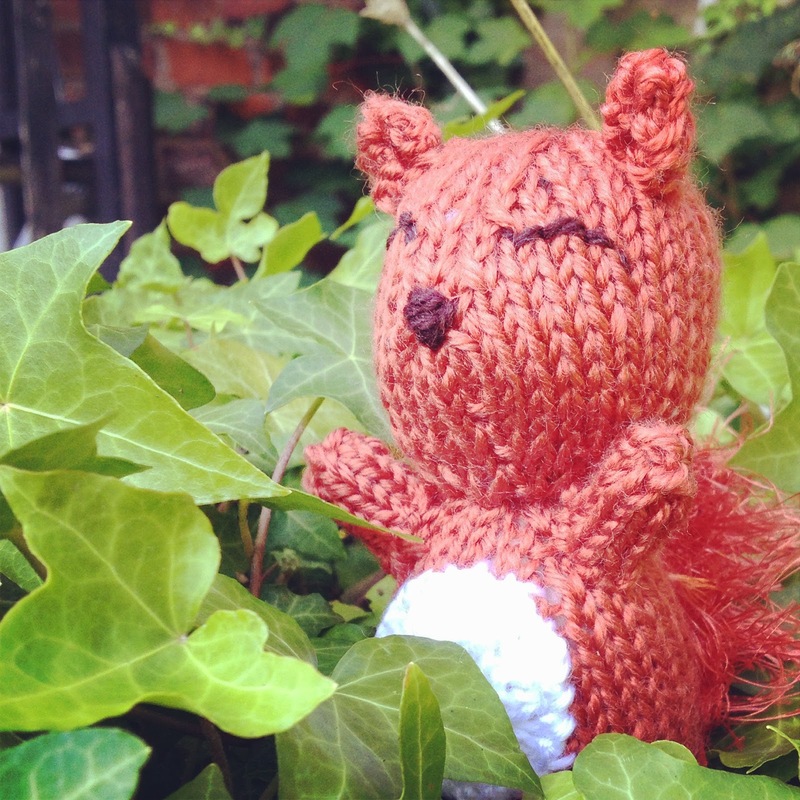 What do you think to Rusty the Squirrel? 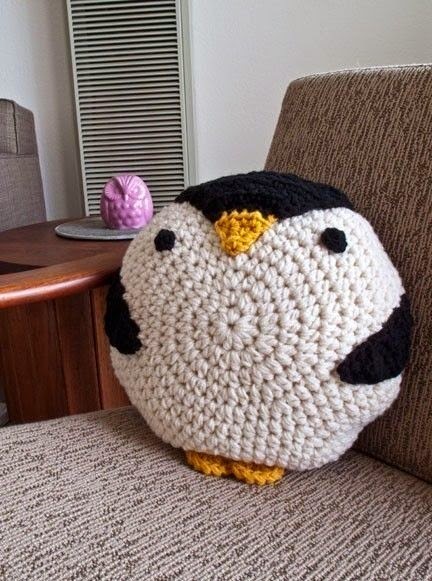 He came in September's issue of Let's Knit magazine and he was too adorable not to make! I sent him to Hannah as a thank you for letting me try out some Sugru she had going spare! 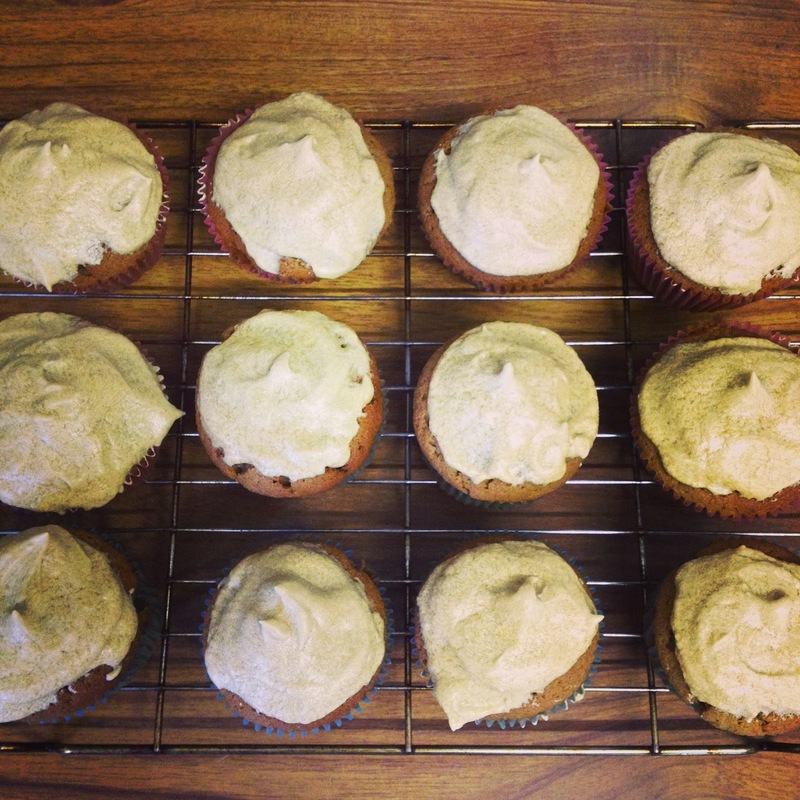 The Great British Bake off started again last week, and in honour of that happy occasion I made coffee cupcakes with my own recipe out of my head! I have it on good authority that they were very tasty. Hannah's #DICraftSwap is one of my favourite things to work on every month, and July's theme was Disney. Lauren (my recipient) said she like Mulan and I had a lot of fun embroidering a small book bag for her alongside a Mulan silhouette. 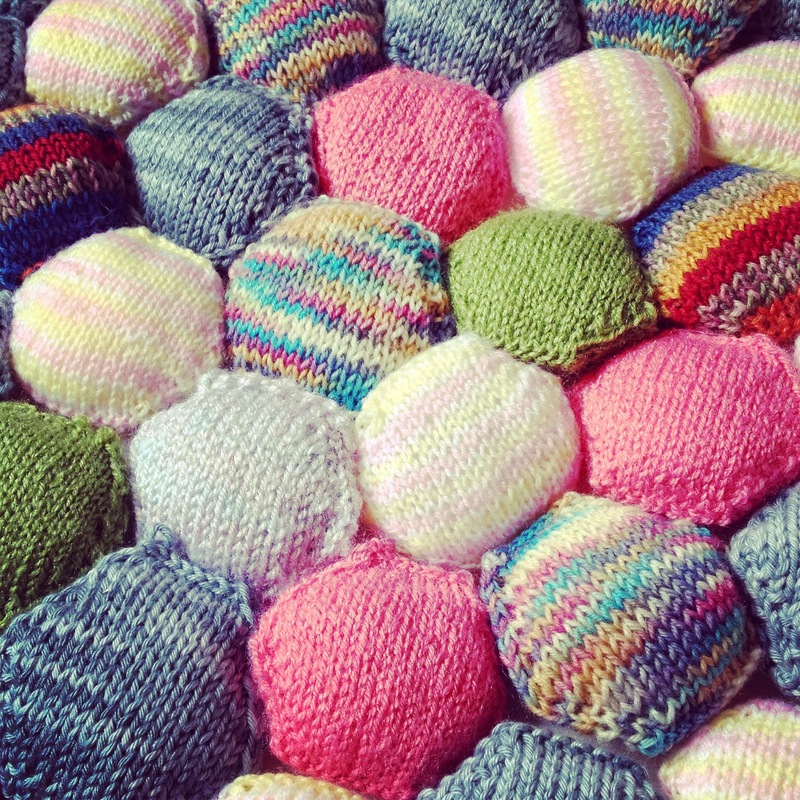 I am up to 42 hexipuffs now! Nothing is sewn together yet, but laying them all out on my bed was incredibly satisfying. 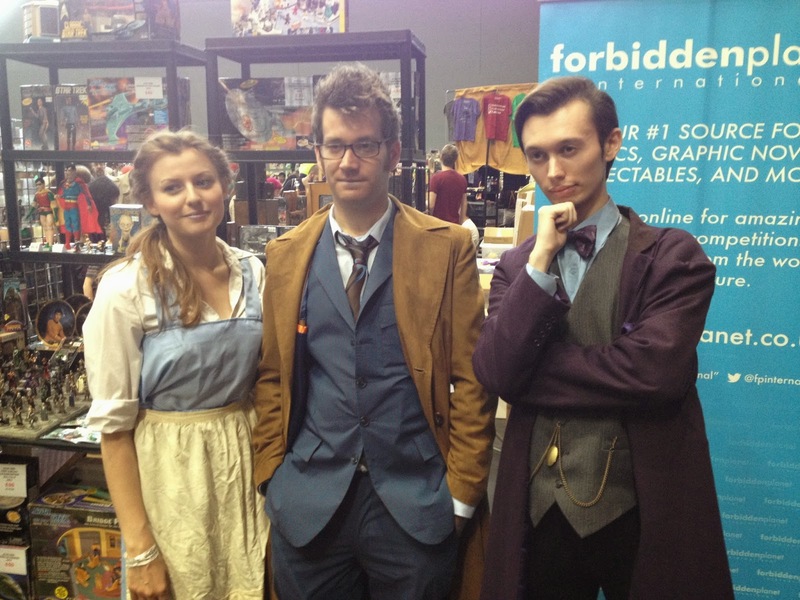 I am happy to say they are all looking rather good and my beekeepers quilt will be ace. I've been commissioned to do a 'secret' project for someone which involves the fair isle knitting technique, also known as stranded knitting. 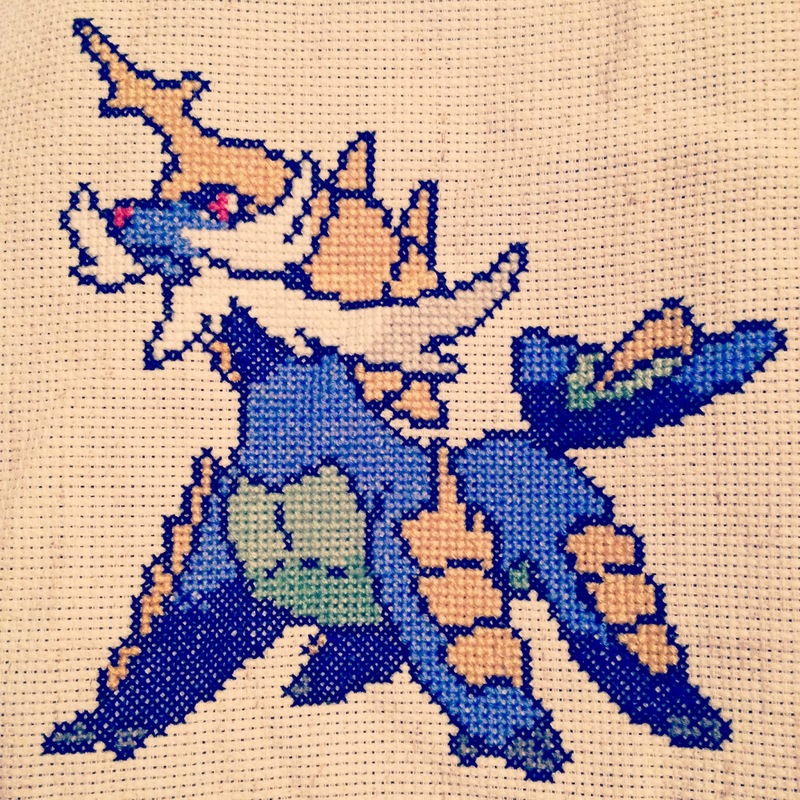 I am glad I put some practice in before I get started on the project proper because I have a lot of work to do on my tension! 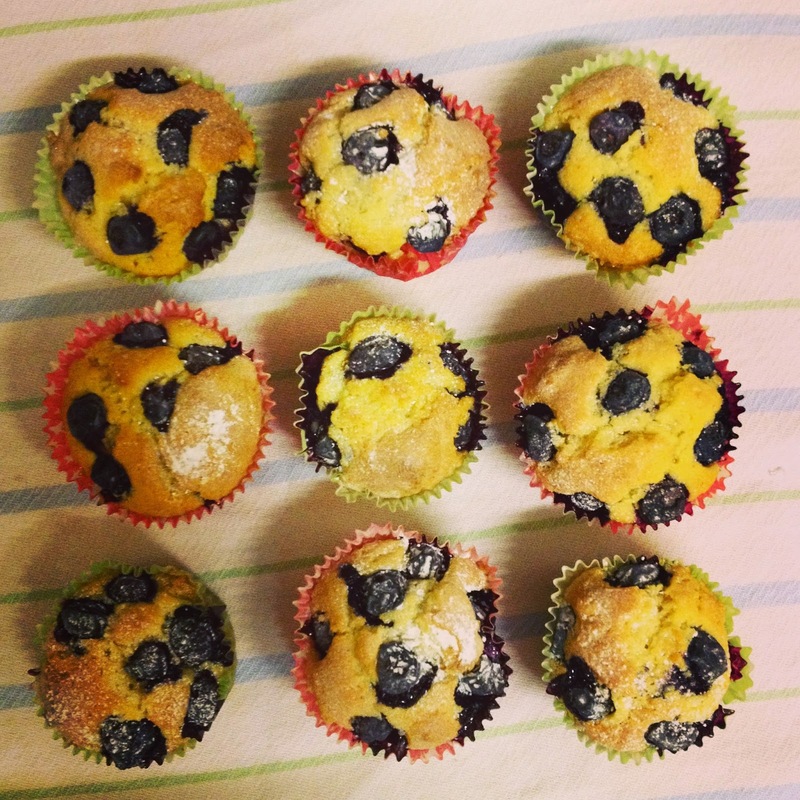 Following the first episode of GBBO I caught the baking bug again and had to make these Paul Hollywood blueberry muffins - again I have it on good authority that they were tasty. What have you been crafting recently? This pin also introduced me to the lovely gorgeous blog that is We Lived Happily Ever After - I can't wait to read through more of the tutorials and posts on there! 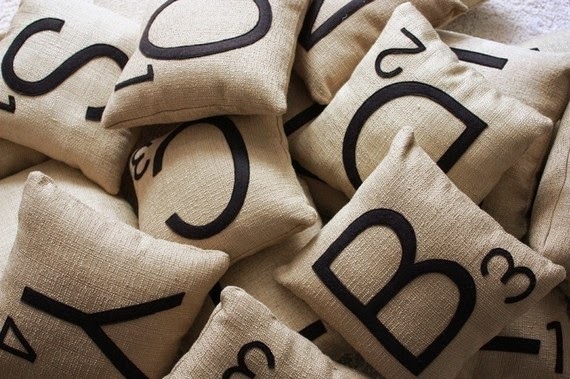 These Scrabble tile pillows are a great gift idea, particularly now as we crafters are starting to think about our Christmas makes! You can buy them from Etsy, but I think I could make these myself quite straightforwardly and even play with some floral fabrics/bright colours rather than just traditional Scrabble colours! 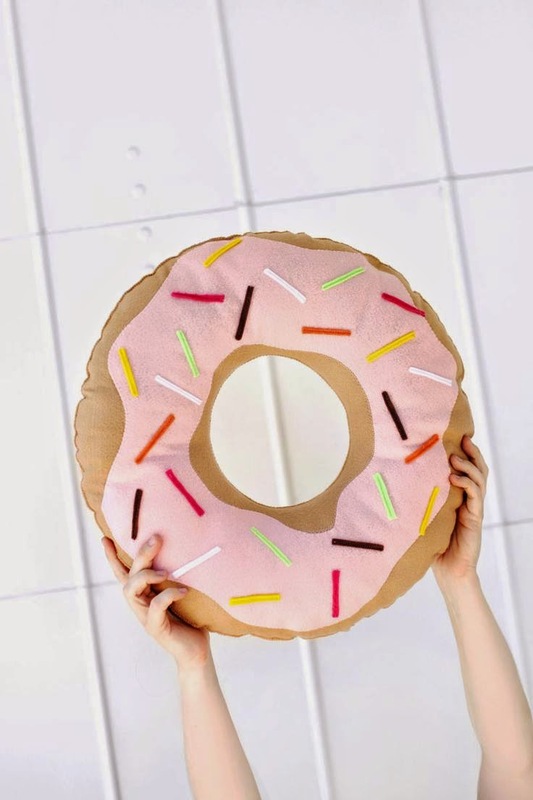 This doughnut cushion is just too yummy not to have a go at making one day! It is made from felt which is one of my favourite materials to sew with (so easy and soft and such a bright clear finish) and the tutorial itself is clear cut and intelligent :) Again another beautiful blog well worth a visit - A Beautiful Mess. Yay more felt! 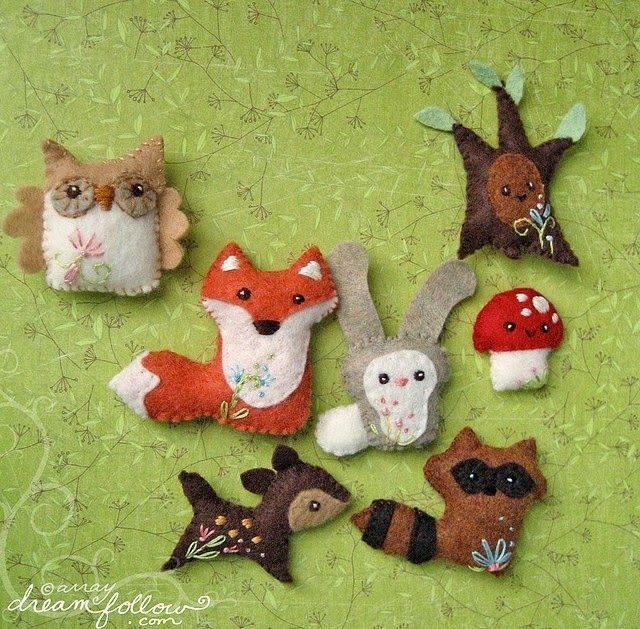 These are some of the cutest felt creatures I have seen for a while - they have these splendid little embroidered flower details on them as well that really add a lovely finish, and look very easy to translate free hand from the picture! 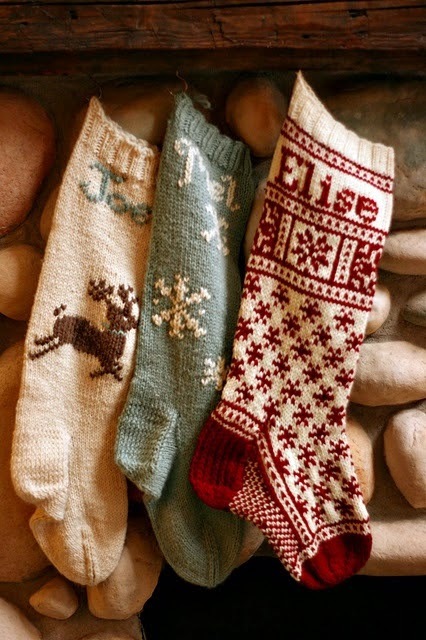 Plus woodland creatures are adorable - again great present ideas! I've finally sorted myself out and added a Sewing board to my Pinterest page - why not follow me on there if you enjoy my little weekly lists of ideas. I have so many projects I want to try already I am set for a fair few years! OK so I know these are evidently intended for kids, but how awesome/adorable are they!? You can buy the crochet patterns from The Velvet Acorn Etsy store, and I am sure/hope that they will be easily adaptable to my adult head in time for winter. 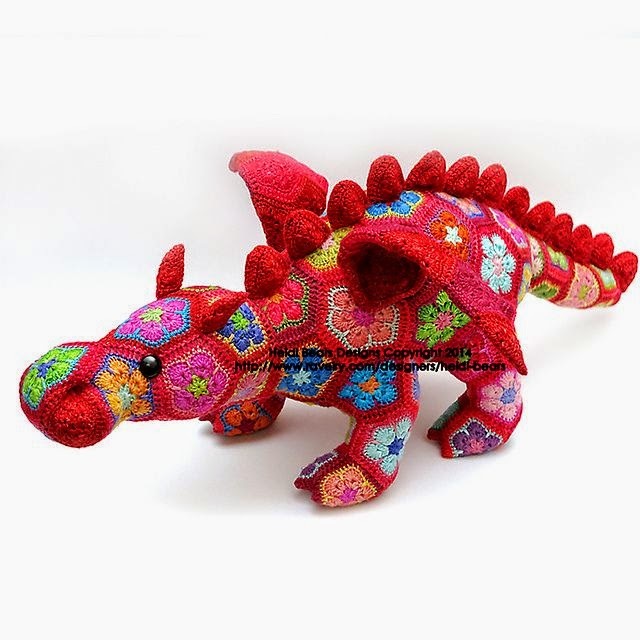 OH would you just LOOK at this gorgeous and intuitive use of crochet to create this spectacular dragon?! 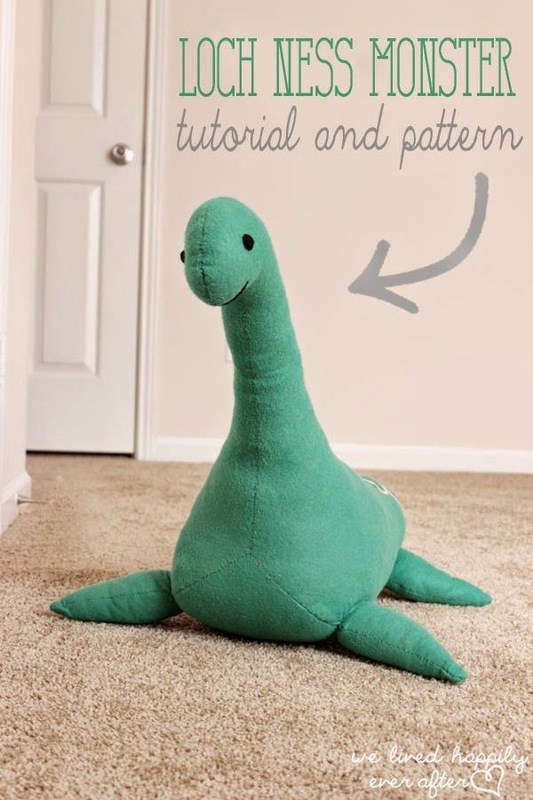 B would hate it if I made more plushies (as I have a billion) but I think something weighted in the feet and this would make a sweet door stop! Gorgeous and useful! 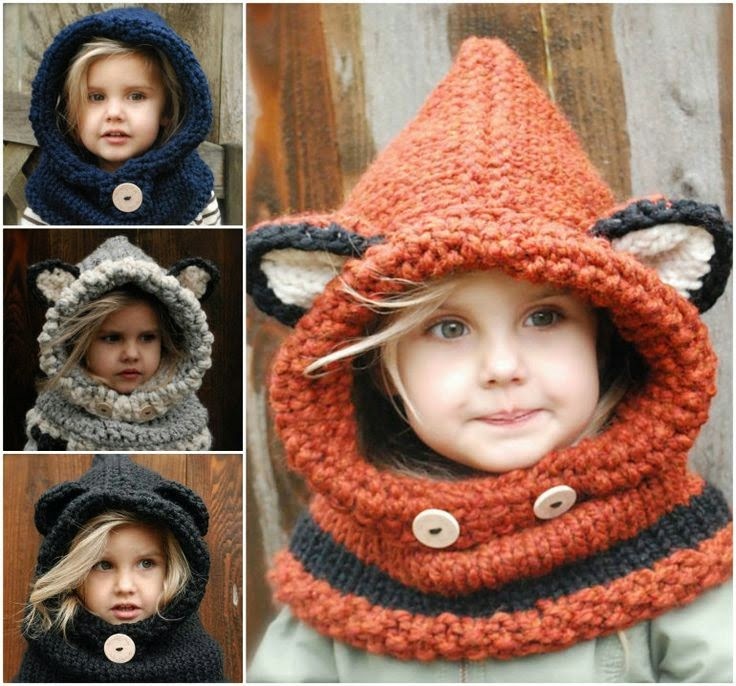 You can buy the pattern (and for numerous other animals) over on Heidi Bears' Ravelry page. 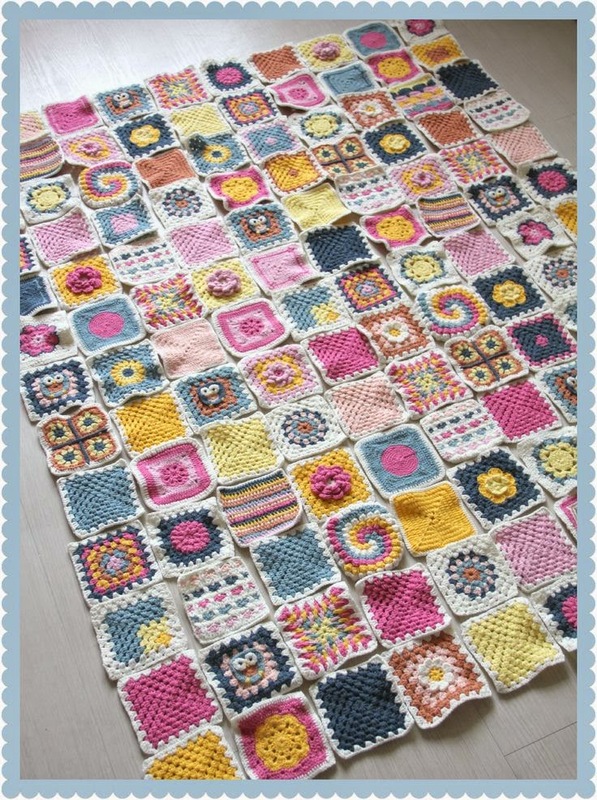 This tutorial on this blog was shared by Deramores on Twitter and I fell in love instantly! 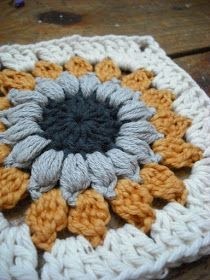 Granny squares have been really fascinating me recently and I want to use this to make something gorgeous - but what to make - blanket, cushion cover, throw, shawl, scarf?? I don't know where this image is from (mega-fail, I am sorry!) but the image alone is inspiration enough don't you think? The wonderful use of the colours over a range of designs, all brought together work like magic and I will definitely be trying this one day! If you like my idea-list(s) why not follow me on Pinterest! This is where most of my inspirations come from now (who's don't eh?) and I would love for you to inspire me as well!